How many robots do you have in the Boston facility? We have four running robots along with a fifth robot in the final stages of development. We are continuously researching new ideas and innovations to make these robots even more flexible and competitive in regards to cost and speed. How can I work with Artaic if I don’t have a representative in my area? Artaic will assign a representative to work with you closely on your project no matter where you are. What maintenance does mosaic require? Mosaic is low maintenance. It’s stain resistant and easy to clean, using almost any cleaning agents. While complaints about stained grout are common, it’s often the result of poor installation methods or materials. How much does installation of a mosaic cost? Installation generally runs about $15-$40 per sq.ft., depending on the geographical location and the complexity of the application. Will Artaic install my mosaic? Artaic does not install mosaics but we can recommend a qualified tile installer in your area. How will the mosaic ship? Once your mosaic leaves our studio in Boston, you will receive a UPS notification email so that you can track your mosaic along the way. Your mosaic will arrive in square foot sections, faced with a clear adhesive and labeled with sections numbers that correspond to an installation diagram. We can ship by any method based on the time constraints and cost considerations of your individual project. Estimated ground shipping costs are $ 0.75 per sq.ft within the contiguous USA. For international destinations shipping cost may vary. You are also welcome to arrange your own shipping. Mosaic weighs roughly 2 lbs per sq.ft. What is the weight per square foot for each tile type? In what format do the mosaics come? Our mosaics are produced in 1 sqft sections, faced with a clear adhesive tape and labeled with a number that corresponds to a detailed installation diagram. Where is Artaic’s tile made? 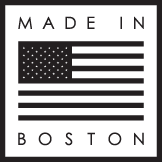 Artaic produces the mosaics in our studio in Boston, Massachusetts, USA with tile sourced from around the world – including the US. Once I approve a mosaic design, how long does production take? Our lead times vary depending on tile availability and production queue. We have several options to expedite the process if the project calls for it. An Artaic representative can give you an accurate estimate based on the specifics of your project. The overall cost will depend on the scale of your project, source of your art, materials used to fabricate the mosaic, design work required, and installation details. Our representative will provide you with a comprehensive estimate after speaking with you in depth about your project. Can I buy your mosaic in a store or online? Our mosaic is exclusive and every piece is custom made. You need to contact one of our representatives or us directly for a consultation. Do I need to account for overage and order extra tile? Artaic uses print to fit technology to manufacture the exact amount of mosaic needed for the project. This reduces installation time, project disruption and material waste. What format are your samples? Our custom project samples come in a binder with an 8 ½” x 11″ swatch on one side and the rendering and tile palette used on the other side. Other formats are possible upon request. Yes, our standard formats for samples are free. We do however charge for any large-format or promotionally priced samples. Yes. We have a broad collection of generic samples. Even better, you can order a custom sample for your project through our representative or website. When you decide to order mosaic from us, we will fabricate custom digital and physical samples for your review. Are there limitations on size and scope of a project? Our system produces 1 sqft sections that are installed according to a detailed installation diagram. The limit to the size of the mosaic that can be produced is 10 sqft. The minimum project size is generally 150 sq.ft, but may be determined on a case-by-case basis. Which tile type can you use on a floor application? Vitreous glass tile – recommended for light residential floors. Sintered glass tile – recommended for commercial and residential flooring. Unglazed porcelain – recommended for commercial and residential flooring. Stone tile – recommended for commercial and residential flooring. Clear glass tile – not recommended for flooring. Which tile types are safe for outdoor applications? All of Artaics’ tile lines are impervious to water absorption and thus freeze thaw ratings. View our tile guide to read more about each tile’s properties. Which tile types are safe for showers and pools? Artaic’s unglazed porcelain and stone are safe above the water line for wet applications, while both vitreous and sintered glass tiles are safe below and above the water line. What kind of tile does Artaic use and how do I know which type is best for my mosaic application? Can I see physical examples of your tile? We offer a line-board with the full palette of colors for each of our tile materials. Please contact us to receive the material(s) of your choice. Can I purchase your tile without incorporating it into a mosaic? Our entire tile library is available as solid 1-color sheets. We offer special pricing for this. Can you use a specialty material not listed on your site? Our production technology is flexible. We’re able to adjust our system to use a broad range or materials and geometries. We are happy to work with you to provide a solution for your custom project. What material can be backlit? We recommend using Vitreous Glass, however all of our glass tile lines (vitreous, sintered & clear) can be used for backlit applications. What material does Artaic offer? Artaic offers a broad range of tile material finishes and sizes. We have Sintered Glass, Vitreous Glass, Clear Glass, Unglazed Porcelain, and Natural Stone. All designs can be produced in every material. See our Tile Materials page for more information. How many colors can you incorporate in one mosaic? The number of colors is really determined by the design being created. We’ve found that it is unnecessary to use more than 30 colors to achieve proper saturation. Most of our designs use less than 15 colors. Can you mix different tile sizes in the same mosaic? Our 3/8” and ¾” Vitreous glass can be used together. This however would be a special order with added tie and cost. Can you mix different tile types in the same design? Our Sintered Glass and Clear Glass tile are the same dimensions and can be used together in the same mosaic. All other lines must be used individually. I like a design from Artaic’s collection; can I customize the color or material? Absolutely. All of our designs are fully customizable. We can adjust the orientation, scale, tile material and colors to best fit your application. Do you have mosaics in stock that I can use? We do keep several tile types and colors in stock, but due to our unique technologies, all of our designs are made on-demand. This keeps our products flexible with the ability to customize any mosaic for every application. Can you create murals or patterns from the art I will provide? Yes. Our designers can work with any form of inspiration, such as photos, drawings, fine art, watercolor, etc. We provide you with an accurate rendering of your image in tile for your review prior to production. What resolution image do you need for your software? Since our highest resolution tile material is about 3 tiles per inch, we recommend an image that is 10px per every inch of mosaic. Example: If your mosaic is 168” x 72” your image should be 1680 x 720px. How fast can I get my custom mosaic rendering? Our typical turn-around for design renderings is 1-3 days. If you absolutely need it same day, let us know and we will do what we can to get you what you need. How do I start the process of designing my custom mosaic? All we need to start the design process are the dimensions of the space you are designing for (an estimate is fine to start) and a design direction. A design direction could be a photo to reproduce, one of Artaic’s designs, a pattern, fabric swatch, etc. We then provide you with an accurate rendering of what your mosaic will look like in whichever tile type you prefer. We collaborate with you to produce the ideal tile solution for your space. Give us a call at (617) 418-1928 or fill out the online form to get started.